A summer camp unlike any other in southeastern CT! 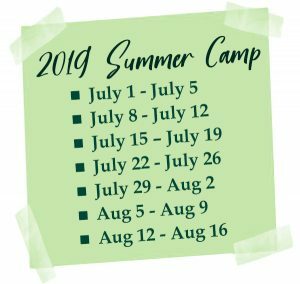 Welcome to Camp Cuheca at Waterford , an innovative, multifaceted summer day camp specializing in Adventure and Animal Therapy for children and youth ages 7-18 that need individualized support and extra adult supervision. Groups of eight campers are supported by two highly trained adult Camp Counselors and a Jr. Counselor. The camp was designed for children and youth that might not otherwise be successful in a traditional camp setting. Waterford Country School’s campus includes one of the best Outdoor Education Centers in the country surrounded by lakes, an adventure challenge course, log cabin, a pavilion, nature trails, a fitness trail, state-of-art gymnasium, and over 350 acres of woodland. The WCS Children’s Farm and Nature Center is the home of many exotic, domestic and farm animals as well as a wildlife sanctuary for injured animals. In addition, camp swimming facilities include local Olympic size pools and Long Island Sound. Camp Cuheca has deep roots in the fabric of Waterford Country School’s rich history, which originated in New York City in 1922. By 1929, to escape the summer heat of the big city, WCS bought 500 acres of beautiful farmland in Quaker Hill, CT, to start a Culture Health School and Summer program. The Connecticut facilities were known as Camp Cuheca, standing for “CUlture HEalth CAmp.” Over the years a number of cabins, camp buildings, farm and support facilities were added to the property and the facilities were developed into the programs that now make up all of Waterford Country School. 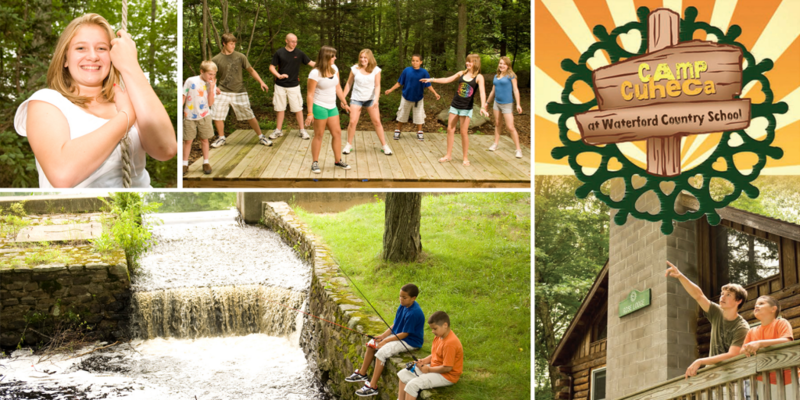 The Camp Cuheca Summer Camp is licensed by the CT Department of Public Health.